We expect the Denver home sales to slow down in the late summer and early fall. That is typical. But the slowdown this year is more than just the seasonal slowdown. Single-family residential homes sales hit 3058 units. We’ve not seen that lower number for any September since 2012 when only 2899 resale homes were sold. Data is courtesy of ReColorado which distributes Denver MLS data. Comparing September 2017 to the previous year, Denver MLS home sales of single-family homes only declined by 14%. Sales decreased by 15% including condominiums and attached homes. September home sales declined by 14% also from the previous month of August, 2017. This is great news for buyers who have been competing with multiple offers for desirable homes most of this year. Fewer properties have been receiving multiple home offers in the last 60 days. In addition, there are more homes on the market now than there were in the hot Spring selling season. There are 6562 active listings in the Denver MLS data. While this is a welcome increase for buyers, the inventory of available homes to purchase is still 28% lower than at this time last year. Also, home buyers are welcoming the news that the average sales price actually decreased slightly in the month of September. The average sales price and the entire Denver Metro market was $425,136 according to the MLS statistics. That’s less than 1% lower than the previous month. Months of inventory is also called the “absorption rate”. It shows how long it takes to sell the average home. How many months would it take for the Denver home sales to absorb sell all of the existing inventory at current sales levels? That is called the absorption rate. 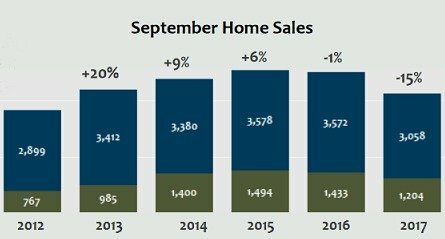 And, it increased again in September suggesting that Sellers have to be more aggressive and Buyer’s control of the market is increasing. 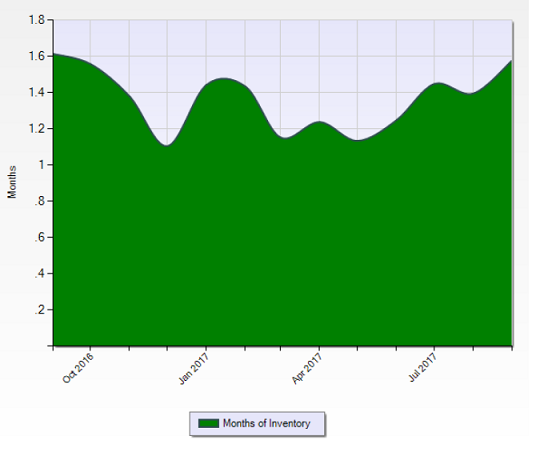 While less than 2 months of inventory is still technically a Sellers’ Market, buyers are now calling more of the shots. 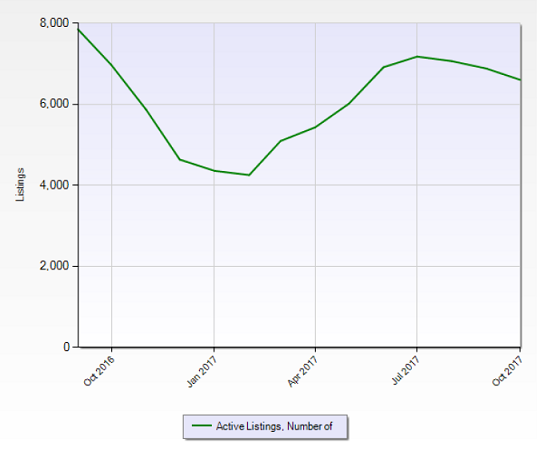 The number of multiple offers has decreased and the average selling price is actually going slightly down. The big question is whether or not this is a brief decline and pause in the market or symptomatic of a more major decline. Only time will tell. In the meantime, this is welcome news for would be home buyers in our busy Denver real estate market. Sellers, on the other hand are being more aggressive in their pricing. And, real estate brokers are being more aggressive in their advertising and marketing techniques. No longer does nearly every home that’s placed on the market sell in the first 30 days. Sometimes, homes are not selling at all. Savvy buyers might want to capitalize on what might turn out to be a temporary lull in the Denver real estate market.